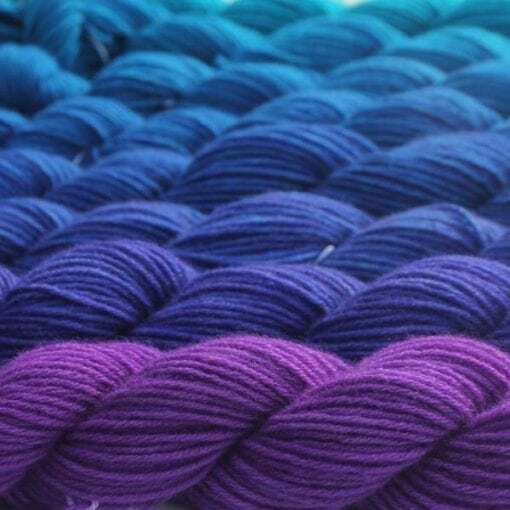 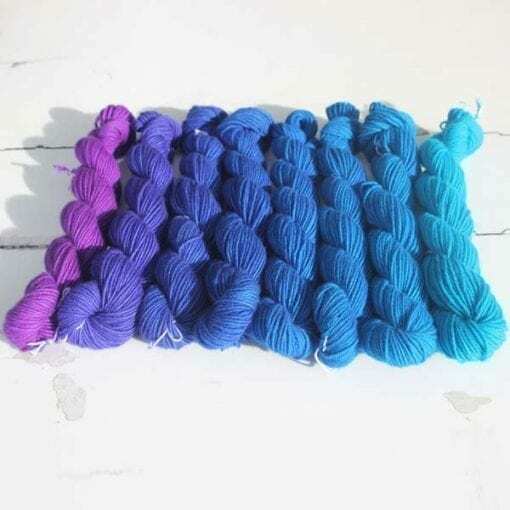 Set of eight 25g skeins of pure cashmere in a hand dyed in semi solid gradient fade from turquoise to purple. 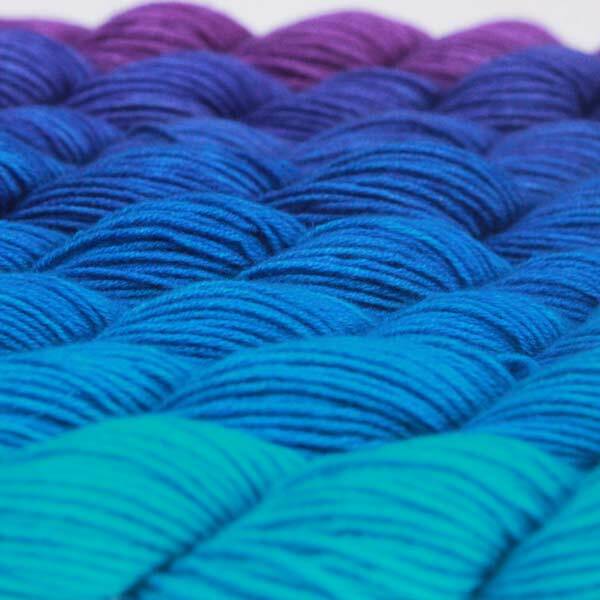 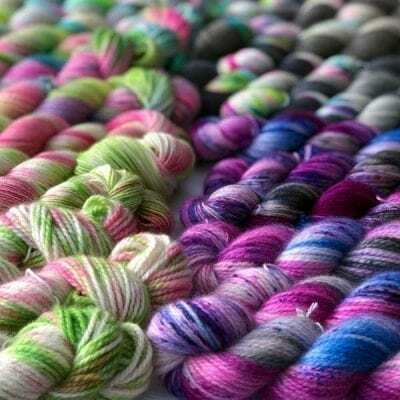 Our most popular pure cashmere yarn in 8 semi solid gradient shfades from purple to turquoise. 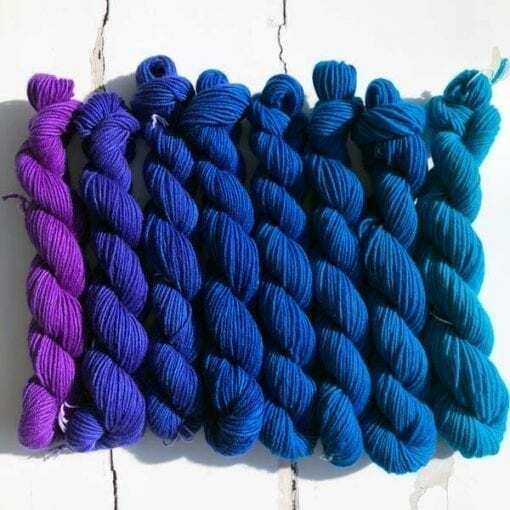 Part of our Limited Edition Shfades, I am going one step further – instead of just using one colour I am fading from one to another. 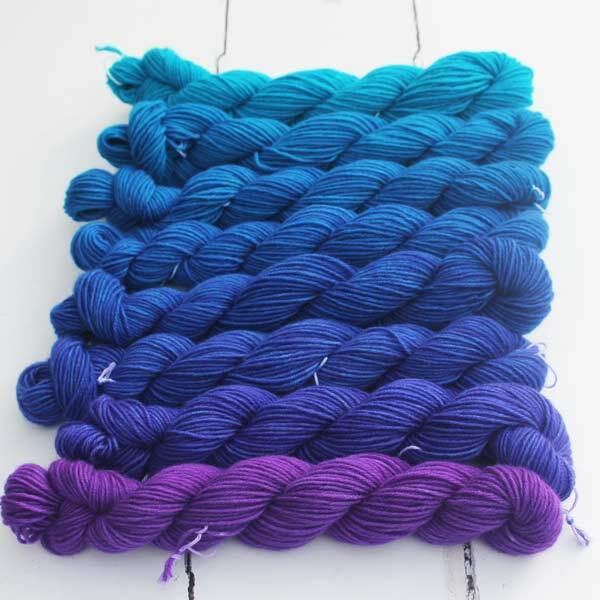 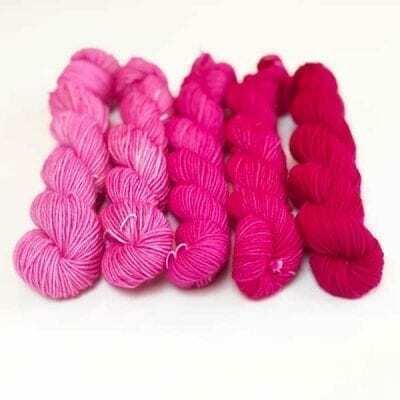 Each skein is 25g so the set of 8 is 200g (see below for detailed yarn info). 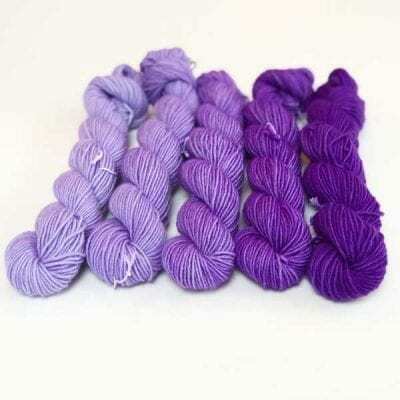 Dyed as single skeins this set is completely unique this set is made from the finest pure cashmere, usually priced at £15 per 25g so this is excellent value.